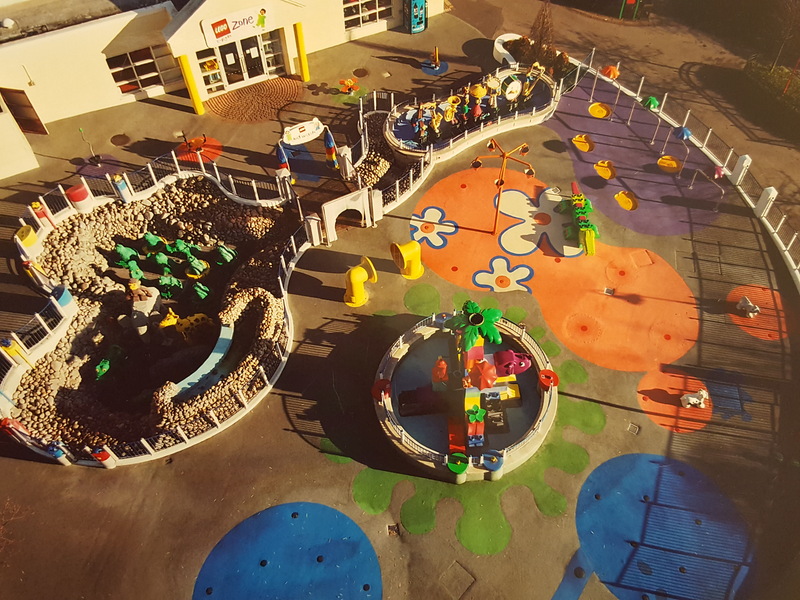 Playgrounds Designs Have Changed A Lot Over The Years! 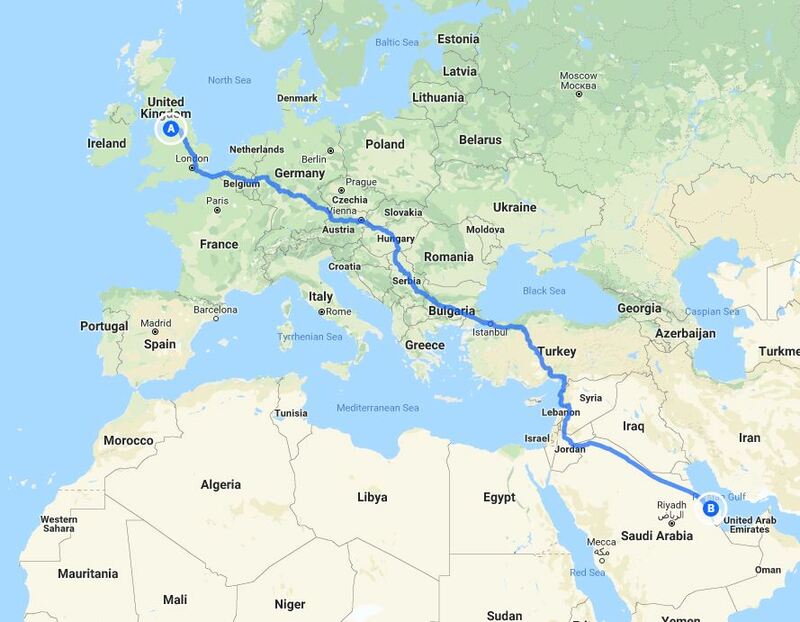 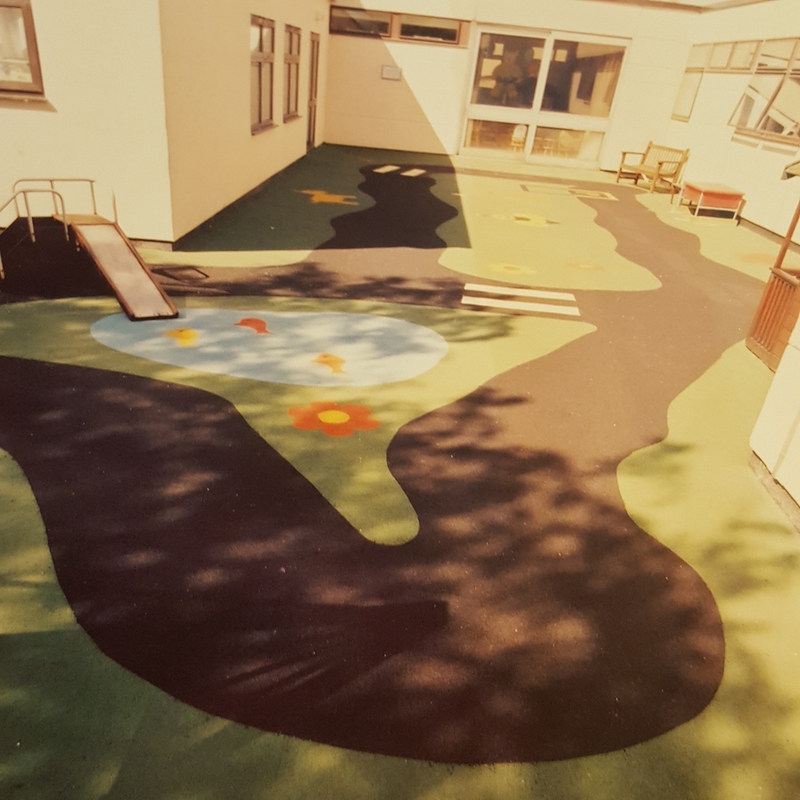 As we have started celebrating our 25th anniversary, we’ve been looking back to where it all began. 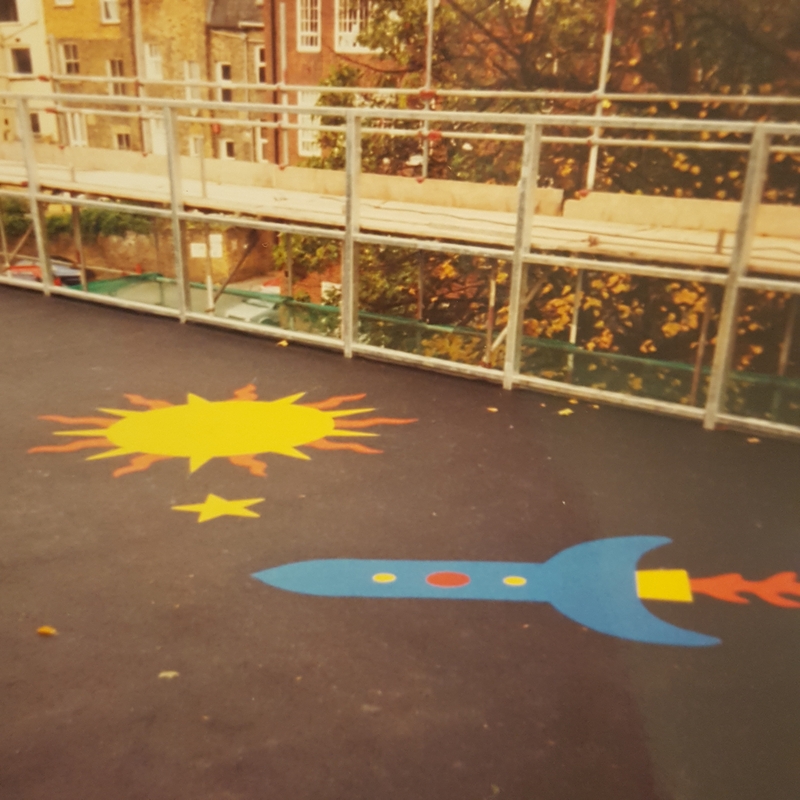 After all, what milestone birthday doesn’t include digging out old photos and getting nostalgic? 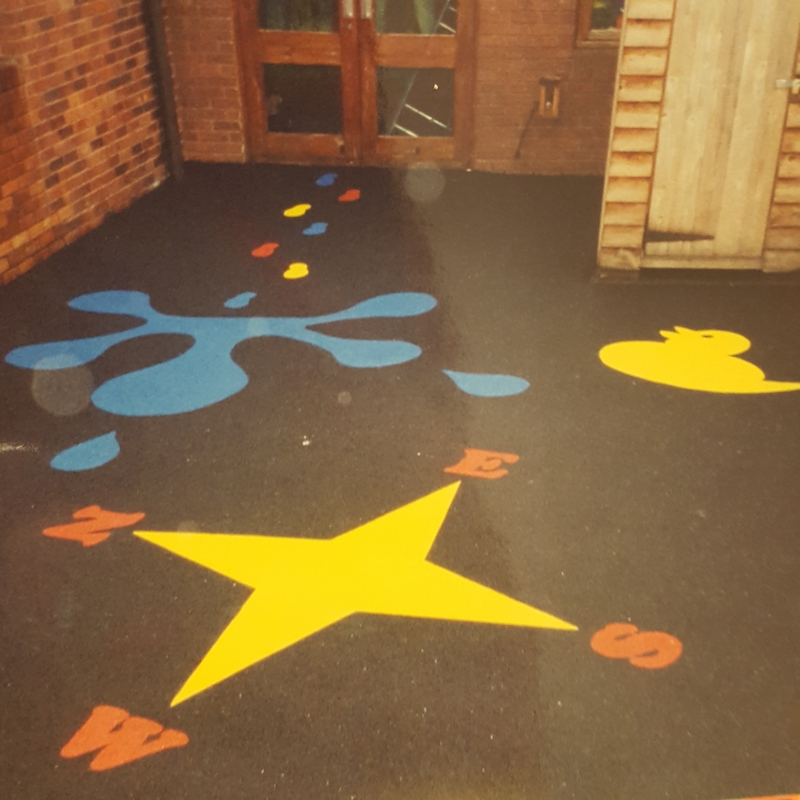 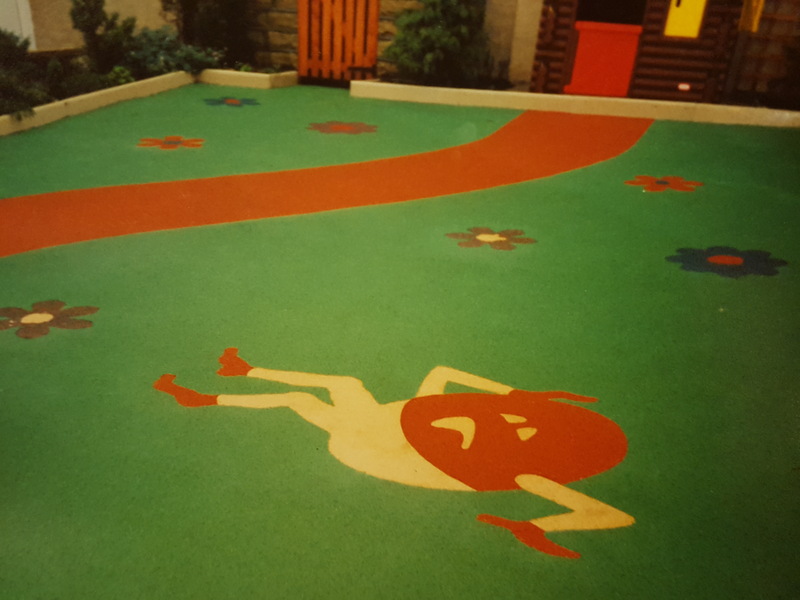 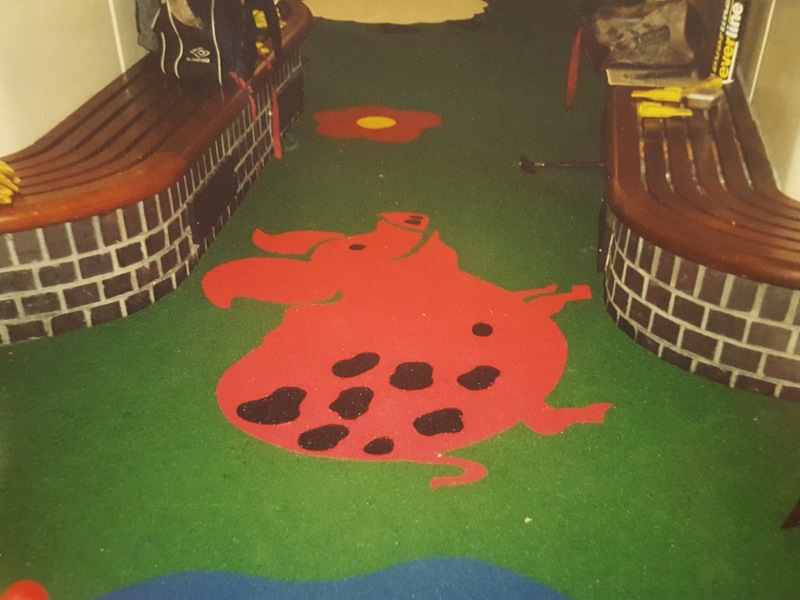 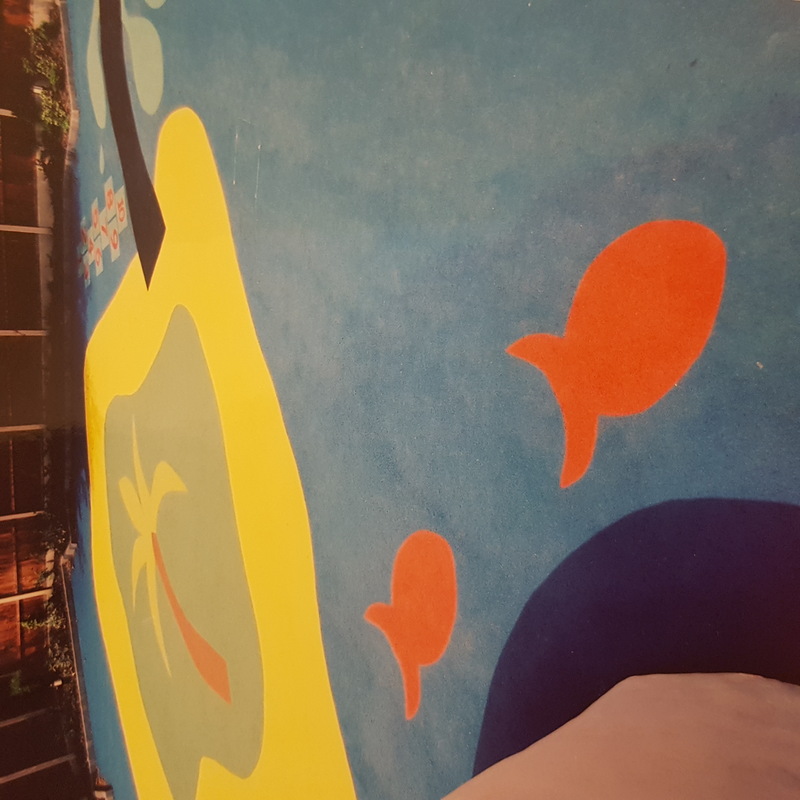 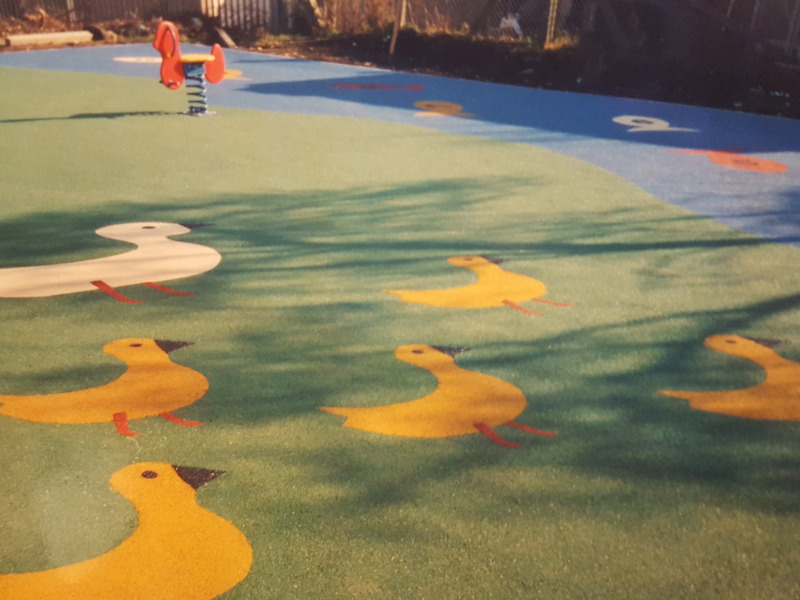 Since the 1990’s we have been pioneering the use of graphics within safety surfacing, but as these early photo’s show, styles have certainly changed! 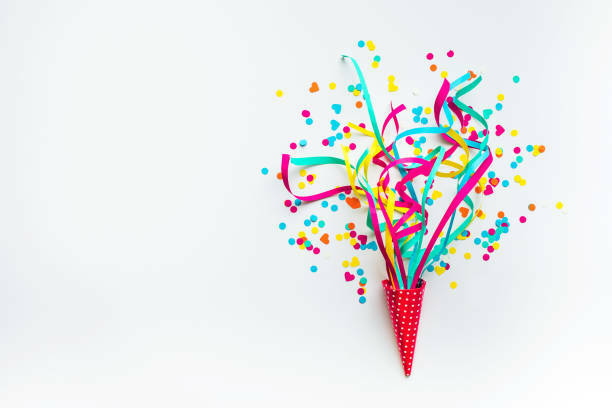 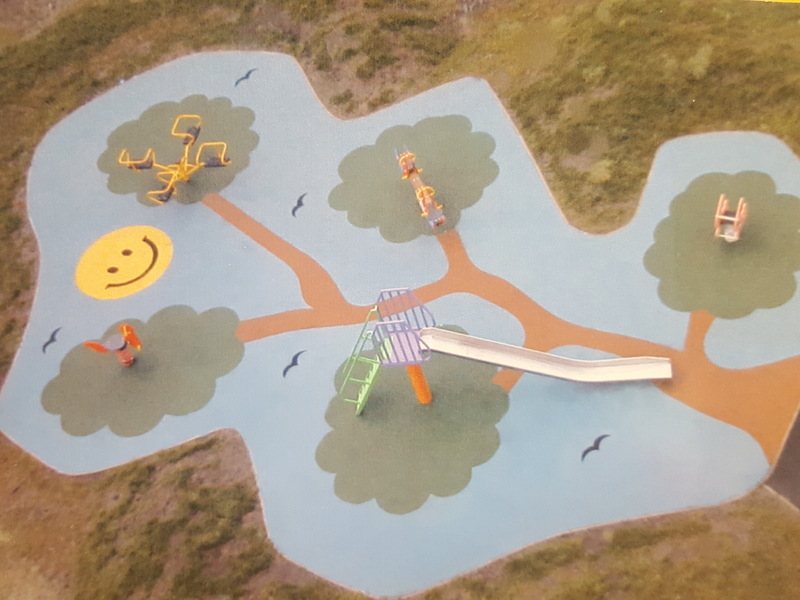 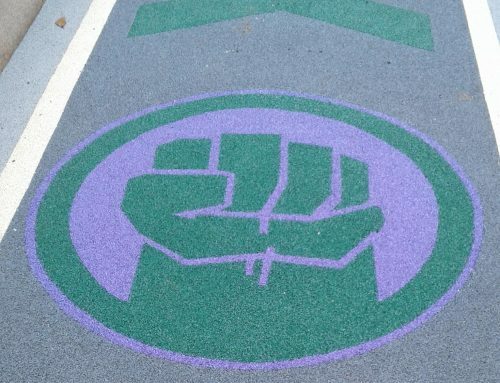 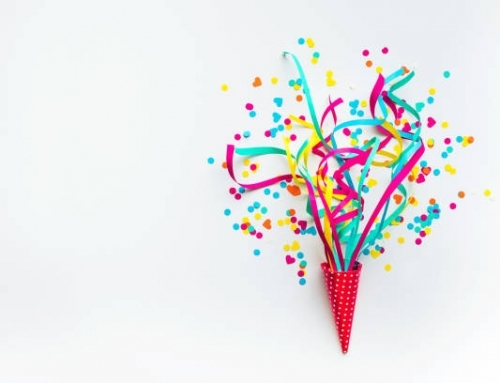 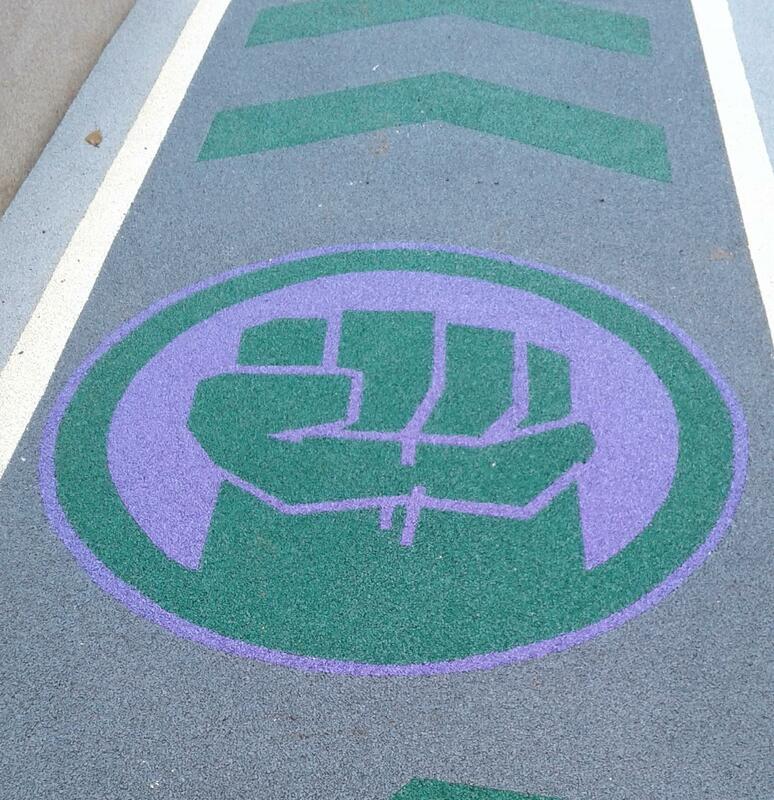 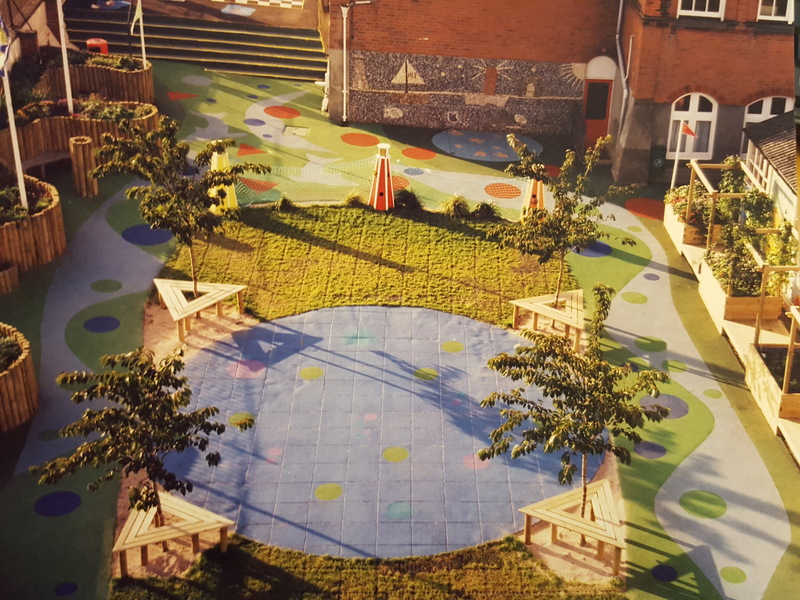 Whilst some themes such as roadways, compass points and flowers have stood the test of time and remain popular in playgrounds today, other design elements – such as nursery rhymes – have dwindled in popularity. 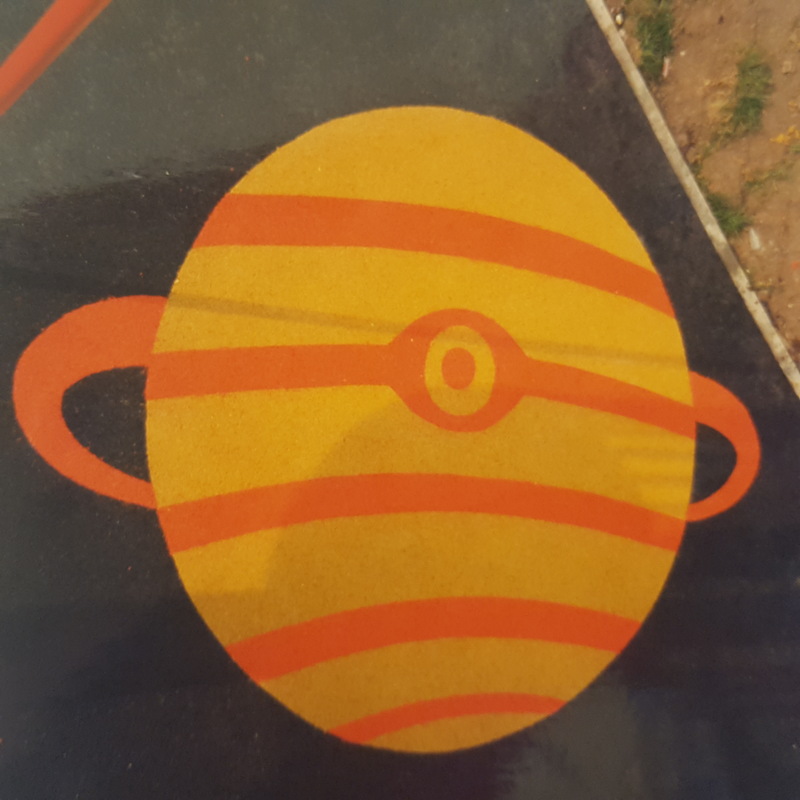 Other themes, such as outer space, beaches and lettering are still common although the style and fonts have changed slightly to give them a modern twist. 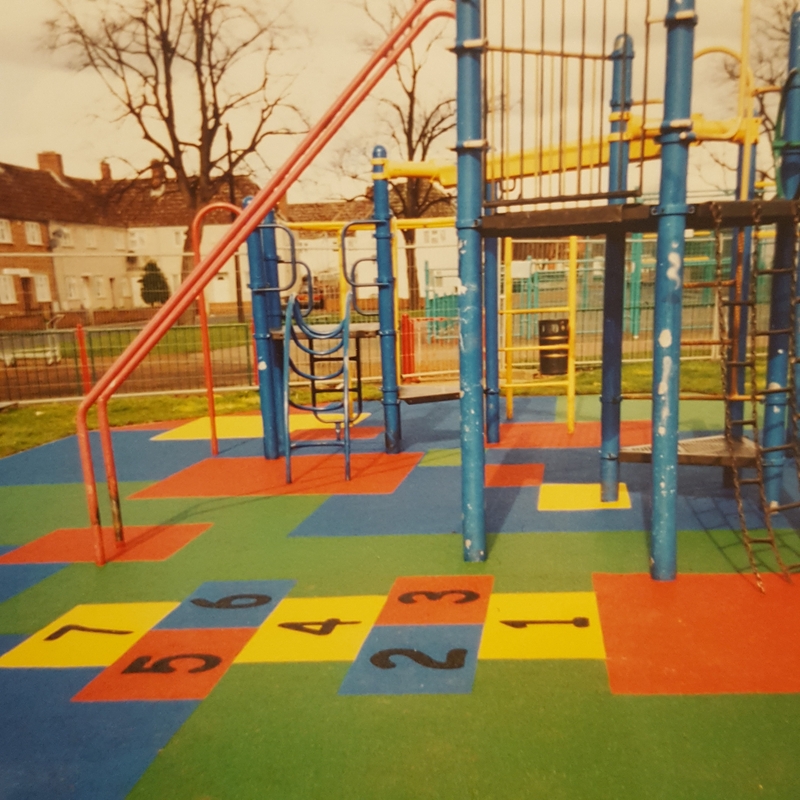 It seems that whatever the decade bright colours are popular in any playground, as are classic childhood games such as hopscotches. 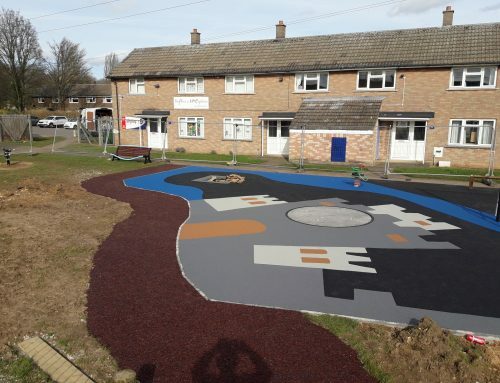 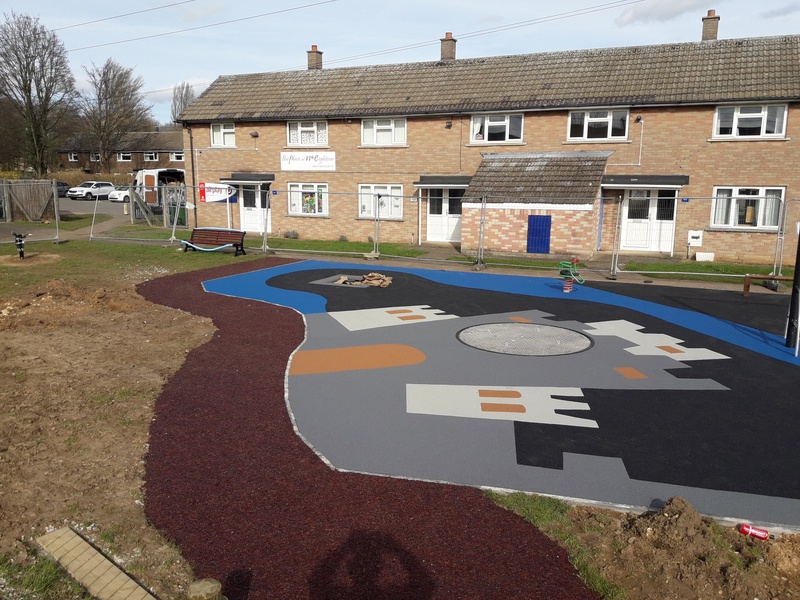 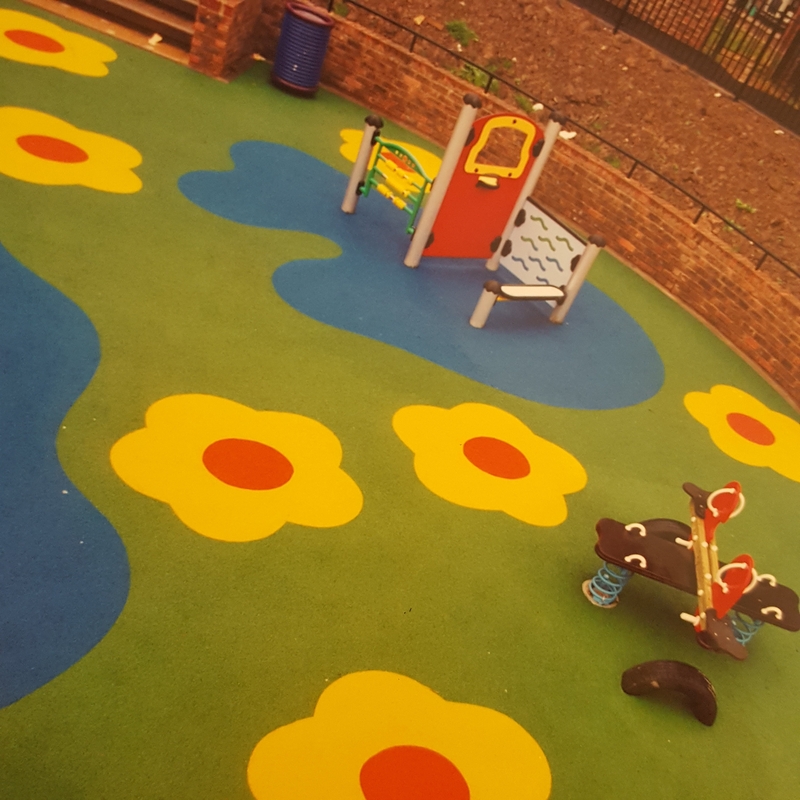 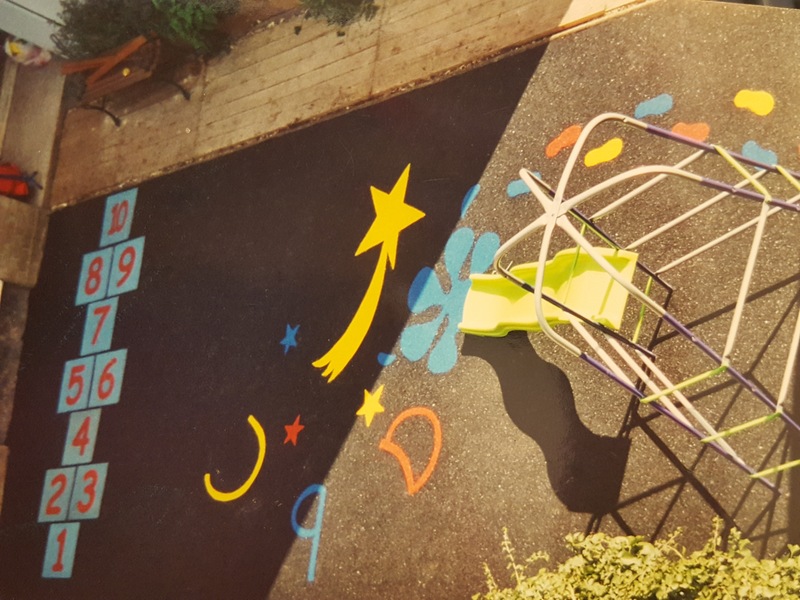 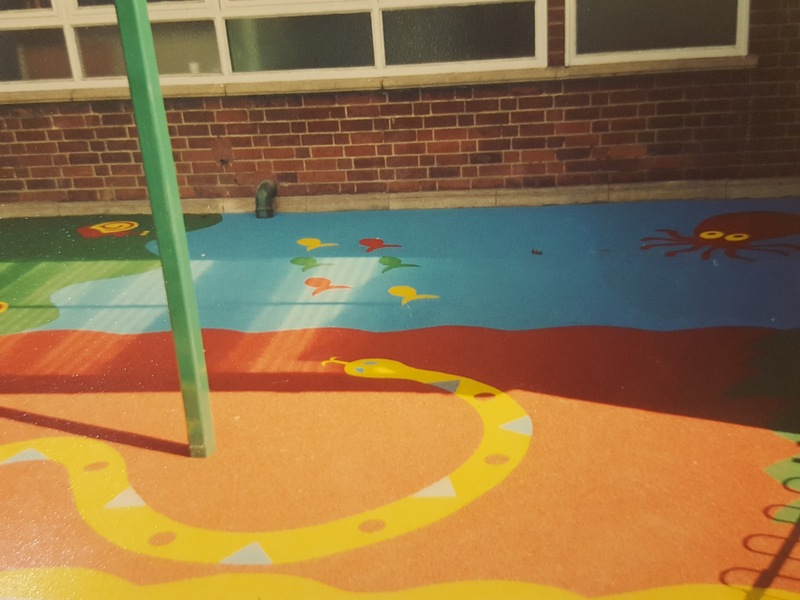 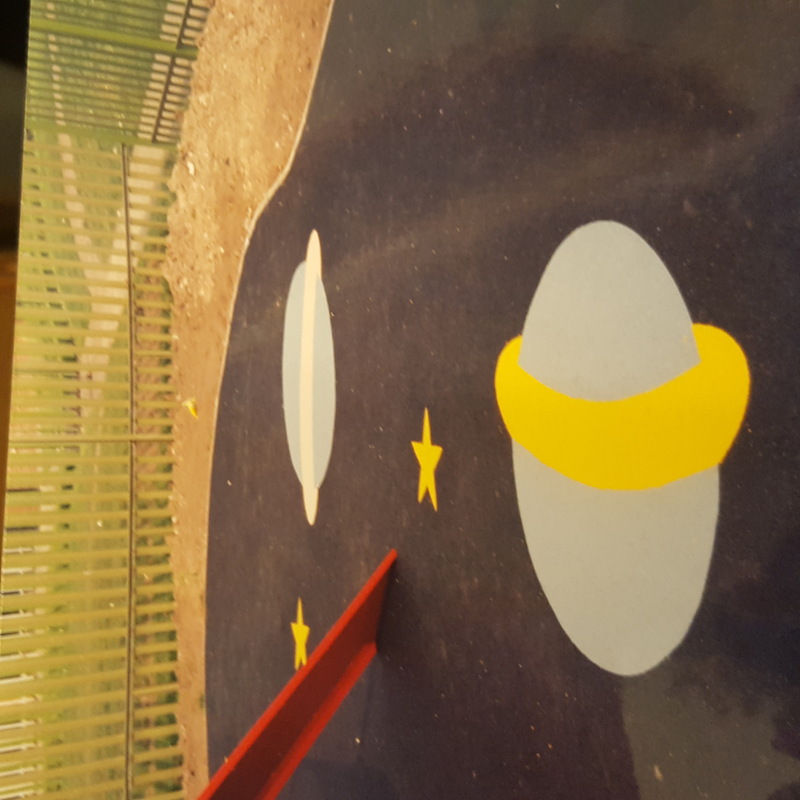 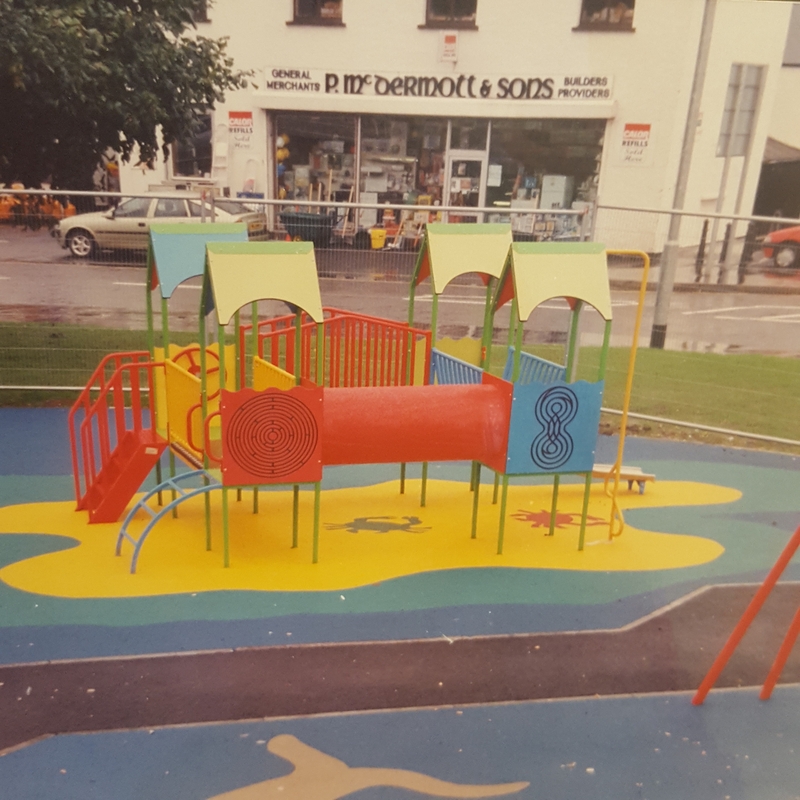 Whilst looking through the old photos, we also found images of a playground surface we installed for Channel 4 and we have since gone on to work with ITV and the BBC! 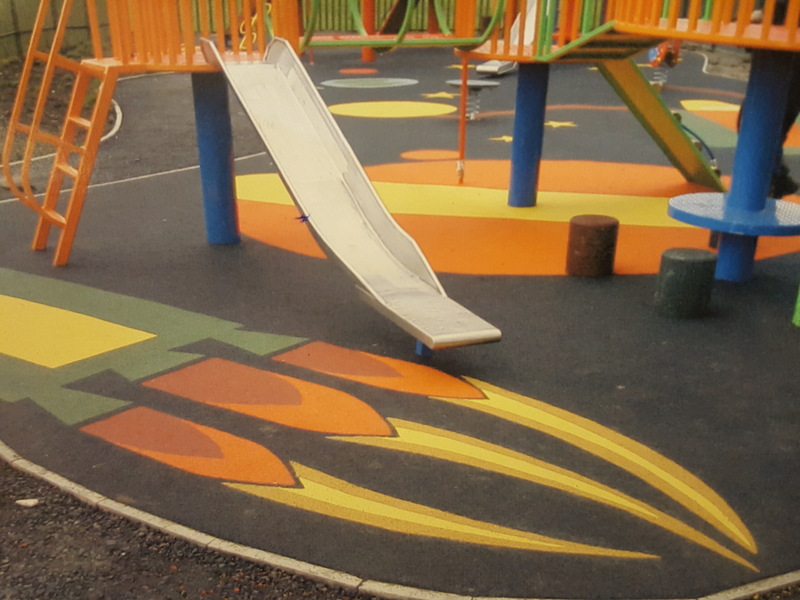 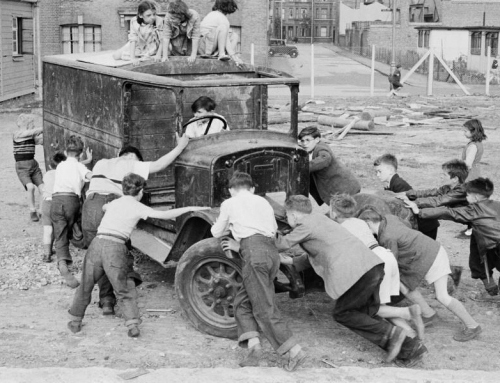 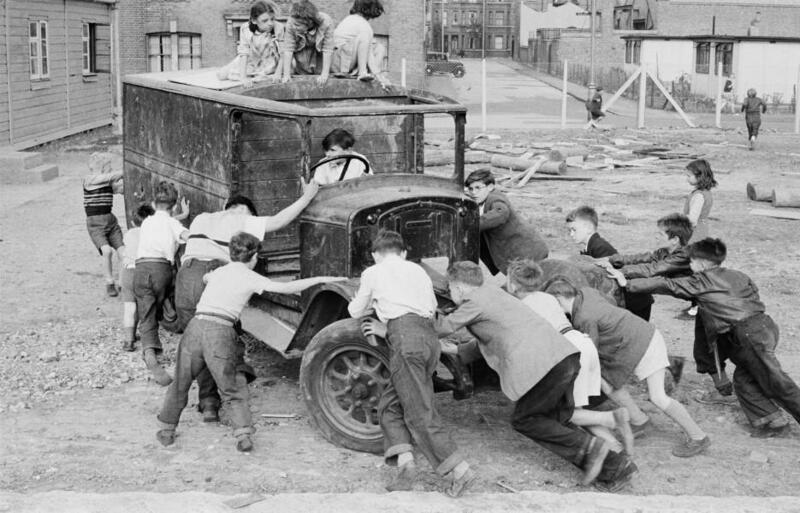 If you are designing a playground and would like discuss graphics with our team, don’t hesitate to get to touch!